So another Video Game conversion and this time of a Game that will have fans salavating at the mouth ,but not for long i must add.This is a film based on The King of Fighters (KOF) series of video games.I say based and i must add loosely based . Now yes the characters on show are quite well represented ,with the likes of Mai,Kyo and Iori Yagami.The problem most fans will have with this film is the story .For some reason the film makers have decided that the fighting takes place in a alternate dimension.So combatants live their normal lives and take part in battles by entering a fight arena using a earpiece that sends them to another realm. So now you have a factor that does not factor in KOF,so this is going to put fans right off from the beginning.What we have here is a renagade fighter who wishes to turn the alternate dimension in to one with the world we all live in.His Name ,RUGAL (Ray Park) .To get there he steals ancient artifacts whilst on display consisting of a Sword,Shield and Amulet.Using the artifacts to enter the alternate dimension and set up his own rules ,which involves him killing his opponents,so he can be King of Fighters. Mai (Maggie Q) is a fighter who is also a undercover operative working undercover ,that has got wrapped up in the Tournament run by Chizuru Kaguma ( Francoise Yip).Now Chizuru has been injured by Rugal when he stole the artifacts and is in Hospital.But unknown to Rugal the sword was not real but a replica . Chizuru tells Mai to find one Saisyu Kusanagi ,who happens to be in Hospital reabilitation unit.When she arrives she finds he has not spoken or been coherant for some ten years ,at a loose end she's about to leave when a young man enters the room who happens to be his son Kyo. Mai explains her reason for being there but Kyo denies knowing anything and she leaves.Still determined she returns at the time her fellow fighter Iori Yagami arrives to find her.Together thay enter the room of Kusanagi and introduce themselves ,but when Saisyu Kusanagi hears his name he speaks and in anger attacks him then dies. So not A GOOD start to finding out whats going on.Now Chizuru had told Mai that the real Sword Artifact ,''The Kusanagi Sword'' was in the hands of the Kusanagi clan.It's this they need to stop Rugal from atking over the world by unleashing the Orochi (a evil enity that takes over the body ,possessing people and turning them in to evil). 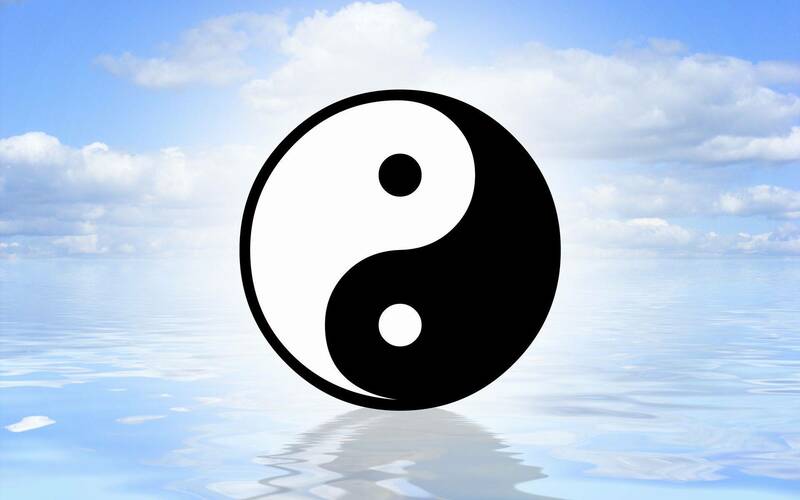 Now Iori Yagami has been under the influence of the Orochi before and was lucky to survive .So by now have we seen much fighting ? No not really.Some flitting moments at the beginning and when Rugal steals the sword and shield. Then we have a CIA operative who has been following the fighters to find out whats going on ,one Terry Bogard. In the end it will be up to these people to come together to stop Rugal from dominating the world .After some inuendo between the characters dealing with the life long war between the Kusanagi's and the Yagami's and the fact that Kyo has been hiding the sword they need to stop the carnage. It will all come down to our five players pulling to gether to battle Rugal in the dimension he has created. Witht the aid of the Kusanagi Sword Kyo will have to fight Rugal and face the truth about Iori and the Orochi. So who will become the King of Fighters? So thats the story ,thing is with this film is the action scenes take a while to get started ,and some are of good quality ,but would have looked better if better camera angles where used to shoot them.Now manynhave mentioned on the net that director Gorden Chan ( he of Fist of Legend and Thunderblot) has lost the plot .Now to be honest Gorden Chan is a decent director but that's it a Director.His most successful films have been action directed by others who have a degree knowledge about screen fighting.Fist of Legend was action directed by Yuen Woo Ping,and ThunderBolt was action directed by Sammo Hung. 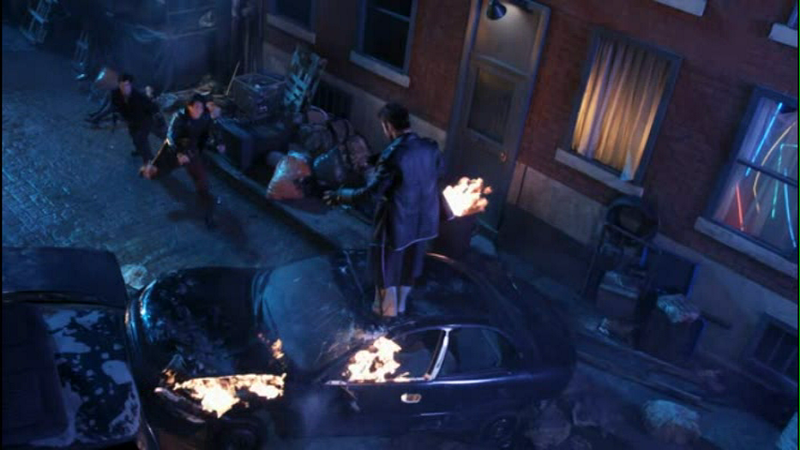 To many special effects where used in the fights and not all to good effect,but a $12'000'000 million Dollar budget nowadays you don't get much. 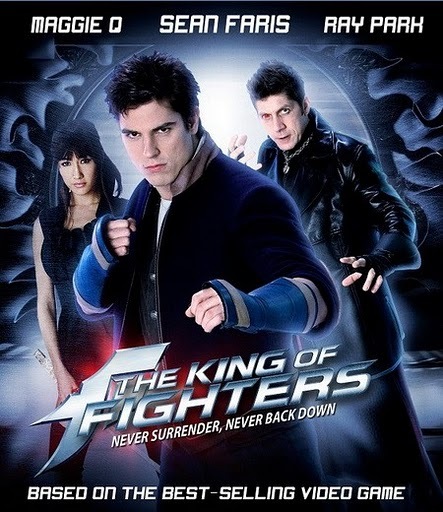 In the end the failing for the film is it's lack of being KOF in any real form other then some characters in a film.I found it starnge how the young Kyo Kusanagi looks Oriental ,but when fully grown is pure white American in the form of Sean Faris. Maggie Q was cool as Mai ,but then she has done enough action to pull it off .Terry Bogards character was pretty poor really as in the game he is one of the main players ,here he is fodder and gets beaten up a lot. 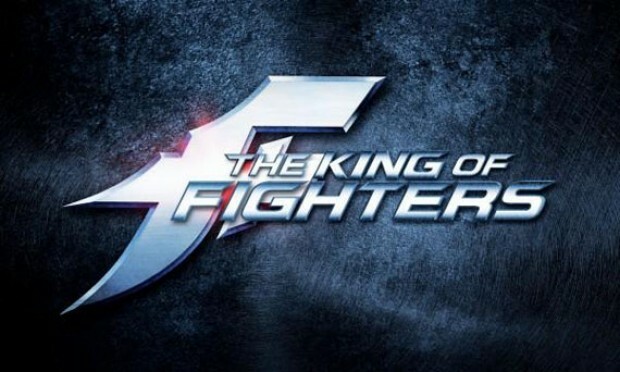 So to sum up ,should you see it .NO if you like King of Fighters.It's not a terrible film by any means but attaching the KOF titile only shames the game ,and a great game it is too. So once again film makers screw up a franchise ,will we ever see a good fight film game translation again,i won't keep my hopes up as there is not much left now. Now if Paul W S Anderson was behind it we would have a classic on our hands ,instead we have this. Maggie Q as Mai Shiranui, an undercover CIA operative sent to infiltrate the King of Fighters tournament. Sean Faris as Kyo Kusanagi, a Japanese-American motorcycle enthusiast and the son of martial artist Saisyu Kusanagi. He is also a descendant of the Kusanagi clan. Will Yun Lee as Iori Yagami, a King of Fighters participant and descendant of the Yagami clan. 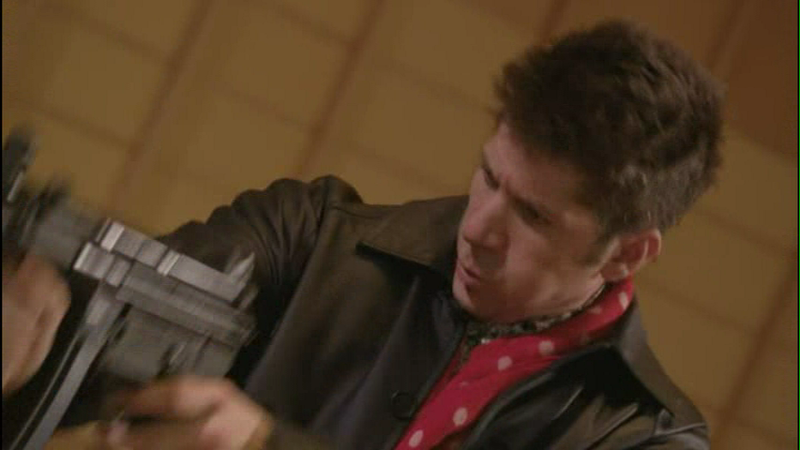 Ray Park as Rugal Bernstein, a mysterious man who steals the three relics and uses them to take over the King of Fighters dimension. Françoise Yip as Chizuru Kagura, descendant of the Kagura clan and host of the King of Fighters tournament. Hiro Kanagawa as Saisyu Kusanagi, descendant of the Kusanagi clan and keeper of the Kusanagi Sword. David Leitch as Terry Bogard, a CIA agent investigating on the activities of the King of Fighters tournament. Monique Ganderton as Mature, a female King of Fighters participant and Vice's girlfriend, who is lured into the tournament dimension and brainwashed by Rugal. Bernice Liu as Vice, a female King of Fighters participant and Mature's girlfriend. As with Mature, she also becomes Rugal's servant. 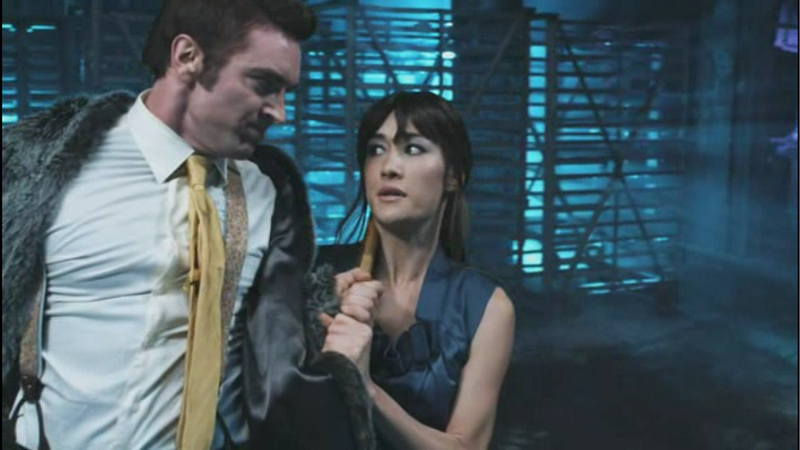 Sam Hargrave as Mr. Big, a King of Fighters participant who loses to Mai in the beginning of the film.